There aren’t enough hours in the day. Many people can agree with this sentiment. At Shingari’s School of Rhythm, we couldn’t agree more! Our weekly Bollywood dance classes are amazing for learning the craft and staying in shape, but many people are simply too busy to make it work. SSR offers private dance lessons for groups and individuals that want to move with the music but aren’t able to conform to the instruction times. Our Bollywood dance teachers are ready to provide amazing instruction in a smaller, private venue. Bollywood dancing is a fantastic way to both express yourself and stay in shape. How can private lessons help you? Convenient scheduling. As we said earlier, our classes can be scheduled to meet the needs of the individual. Our instructors can work with you to find the perfect time to enjoy the rhythm. Personal attention. Since the group size is smaller, more one-on-one instruction can be given to maximize the learning process. If you have specific needs and areas of improving, we’ll be sure to help as much as we can. Faster learning. Having smaller group sizes (especially one-on-one!) means that the time spent on instruction is much more productive. Our instructor’s focus can assist with streamlining the learning process to give you a better comprehension of the routines. Improved fitness. 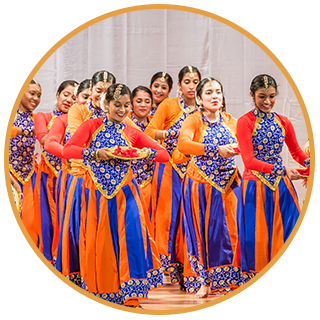 Although group dance lessons are great exercise, we feel it’s appropriate to mention the physical workout included with Bollywood dancing. Reap the benefits of increased stamina, endurance, strength, and flexibility. No matter the reason for seeking private lessons, clients can benefit from several positive aspects. Remember to look ahead for bookings, as our times tend to fill up fast! Many clients that sign up for Bollywood dance classes are doing so with a purpose. Some people are simply searching for a fun way to achieve their fitness goals. Other people are practicing and honing their skills in order to light up the dance floor at the next corporate event. 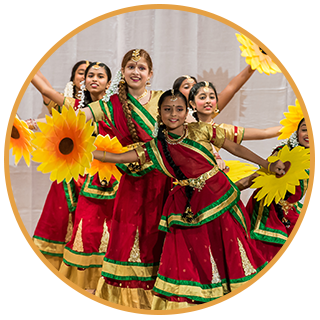 Another possible need for practicing with our Bollywood dancers is to prepare for a musical program. College students make up a small percentage of our classes and are eager to improve their knowledge and dancing skills. No Bollywood dance school is complete without the routines focused on wedding celebrations. Indian dance practices at weddings are often a beautiful affair and, as such, should be executed beautifully. It is always a joy to enlighten others through our sharing of Indian culture. What better time to show off this fusion of culture and dance than at your wedding? No matter the reason, Bollywood dance classes can help folks of all ages. If you are interested in our amazing dance school but do not have the time to make the classes, there is no need to worry! Our private instructions can work with your schedule and offer personalized instruction. 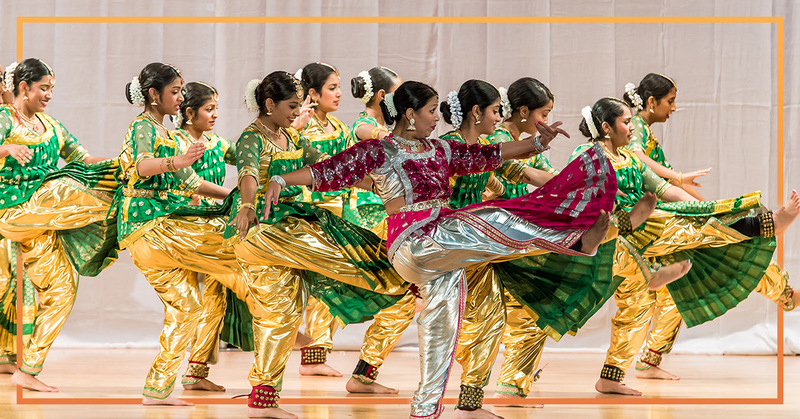 At Shingari’s School of Rhythm, we strive to bring the enjoyment of Bollywood dancing to people of all ages. Contact us now to see how this exciting dance genre can change your life!